Children from Bunyip Preschool are invited to our Open Day each year, held early in Term 2. Our Open Day provides an opportunity for children and their parents to meet staff and students, attend information sessions, experience classroom activities and have a guided tour of the school and facilities. We encourage parents to assist in each of our classes, as well as the Library and with our Classroom Support Assistants. This may include: listening to children read, helping students with their mathematics, arts and craft lessons. 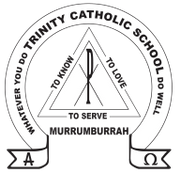 Trinity has an extremely hard working P&F who have raised money to purchase many valuable resources for students and teachers, fund a variety of programs for students to access, and so much more. All parents of children enrolled in the school are automatically members of the P&F, and are encouraged to attend the open meetings to support the children and families at Trinity. Open Meetings occur at the commencement of each Term or as required. All children must wear the school hat while playing outside at recess and lunchtime. Trinity has a policy of "No hat, No play".